Hamas' “military wing” claims it uncovered an Israeli espionage attempt against one of the organization's commanders. The Lebanese newspaper Al-Akhbar reported on Monday that the Al-Qassam Brigades, the “military wing” of the Hamas terrorist organization, had uncovered an Israeli espionage attempt against one of the organization's commanders, Marwan Issa. Sources in Hamas' internal security unit told the newspaper that advanced electronic means were used in the operation and were planted outside Issa's home. 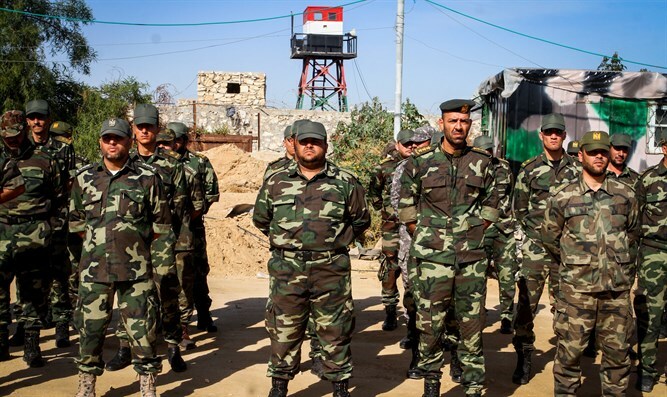 According to the report, members of the Al-Qassam Brigades succeeded in dismantling the wiretapping device which was planted by an Israeli agent. It was also reported that the device was capable of receiving sound waves that were leaving the house and transmitting them to a station in Israel. Sources in Hamas noted that the agent who planted the wiretapping device was arrested and that a search found another device in the vehicle of one of the target's escorts. In October of 2018, the group claimed to have exposed and arrested a Palestinian Arab who had worked as an intelligence agent for Israel for 15 years. In March of that year, the group claimed it had arrested a local man who had been working as a “spy” for Israel and who intended to convince Gazans not to take part in a violent protest march along the Gaza-Israel border.